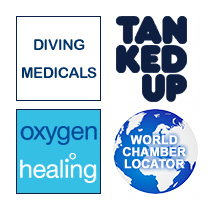 Hi there, I am an avid diver and I have been diagnosed with ME. As little is known about ME I need to know whether I should continue diving. Most of my dives are 40m plus. The vast majority of time I don't feel well enough, but on the rare occasions I do is it advisable? In 1955 the Royal Free hospital in northwest London (about 2 miles from where our chamber is based) had to shut for 2 months due to a mysterious illness which caused fever and persisting fatigue in 292 staff members. Initially called “Royal Free disease”, investigations into the cause led to the coining of the term “myalgic encephalomyelitis” (ME) for the condition. The fact that it now goes by a plethora of names including chronic fatigue syndrome (CFS), post-viral fatigue syndrome and “yuppie flu” just goes to show how poorly understood a problem it is. Interestingly, many veterans with Gulf War syndrome have almost exactly the same symptoms. Diagnosis is difficult, relying as it does on subjective criteria, but generally it involves unexplained fatigue of 6 months or more, which is not due to exertion and which is unrelieved by rest. Numerous other symptoms may occur, such as memory problems, sore throats, joint and muscle pains, and unrefreshing sleep. If any other illness could cause the symptoms then ME is excluded. So there’s plenty of scope for controversy here, as you can see; initially the medical community was sceptical even of the existence of the disease. The stigmatising “attention-seeking” or “malingering” labels are still very much a problem in the public arena. Not surprisingly, as you say, most sufferers do not feel well enough even to contemplate diving. This, in some ways, is the best guide, as due to the fact that the mechanism of the illness is so unclear, it’s very difficult to give concrete advice on whether it’s safe to dive or not. All sorts of theories as to the cause of ME abound, involving hormone imbalances, infections, neurological deficits, lack of childhood exercise, insecticides… the list goes on. The only fact is, no-one knows. As such, the best advice I can give you is if you feel up to diving, then make sure you get a full diving medical first. If you can put in a good showing on the ears, heart, lung and exercise tests, then I’d say you could dip your toe into the water.